Make so-called confetti for a cheap table decoration. Check out this post: Snowflake Paper Punches. I’m sure you could use those fancy punches for some other purpose too, but I haven’t thought of what! Most of the images below are embeded pins, which means you can pin straight from this post and your new pin will be linked properly (not to this post). Not typical wedding decor, granted, but why not? Well . . . maybe because some guest might be tempted to throw them. 😉 But I think the decor below would be adorable for a rustic winter wedding! 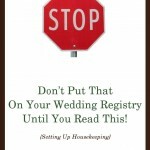 Use it under centerpieces or tablescapes. Or a beautiful snow village. Speaking of snow villages! This pin proves a snow village wouldn’t have to cost a small fortune. Hint: look for village houses and churches at thrift stores. This looks like a very “Christmasy” arrangement but there are MANY ways you can use silver in a wedding to add sparkly or icey touches. More silver wedding ideas here. You probably wouldn’t even consider not having some white in your wedding (like the dress!) but white can also be a major wedding color, adding a snowy feel to a winter wedding. More white wedding ideas here. Then use them for years to come as part of your home decor. That’s it! 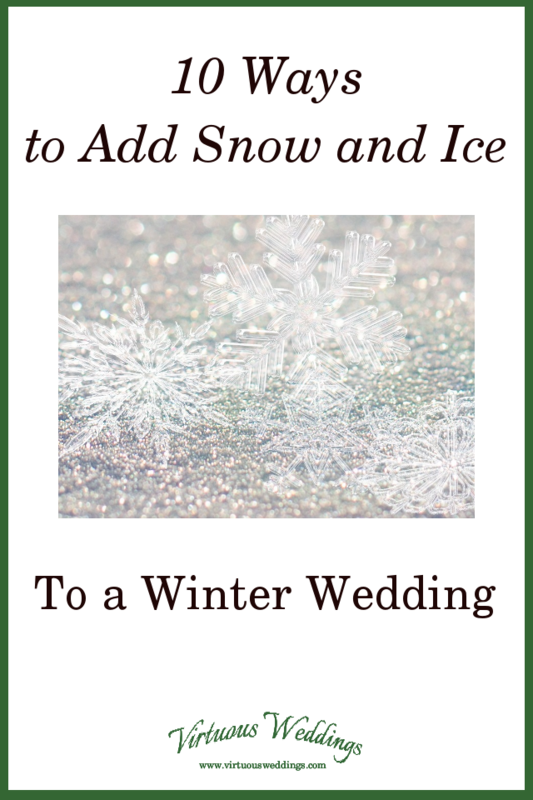 Stay tuned for ways to add snow and ice to a winter wedding shower!